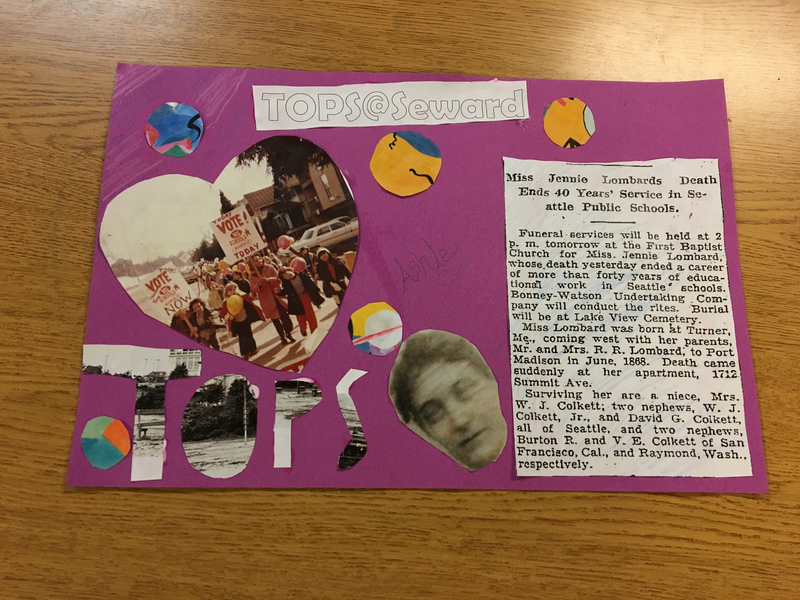 Recently I had the opportunity to lead a learning activity at an elementary school in my area of Seattle, TOPS (The Option Program at Seward). 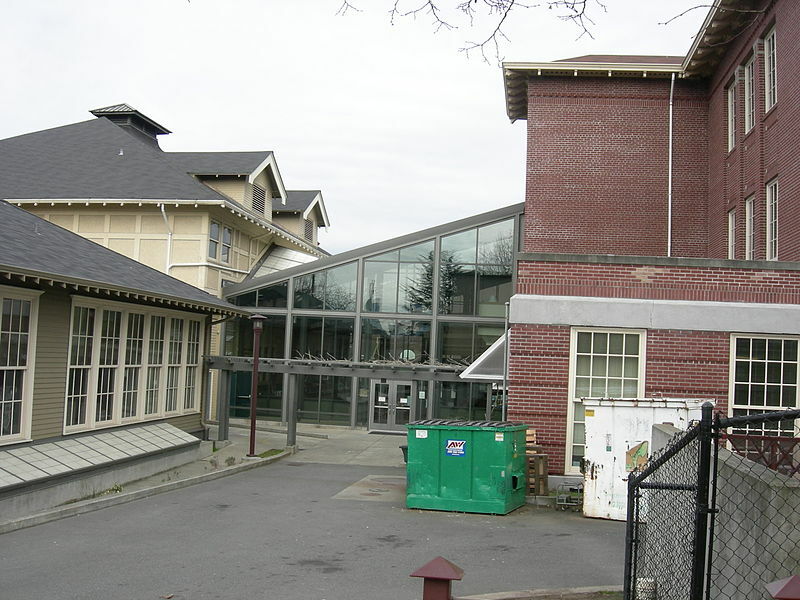 The school is at Boylston and Roanoke in Seattle’s Eastlake neighborhood. I called the session “Old School TOPS”. 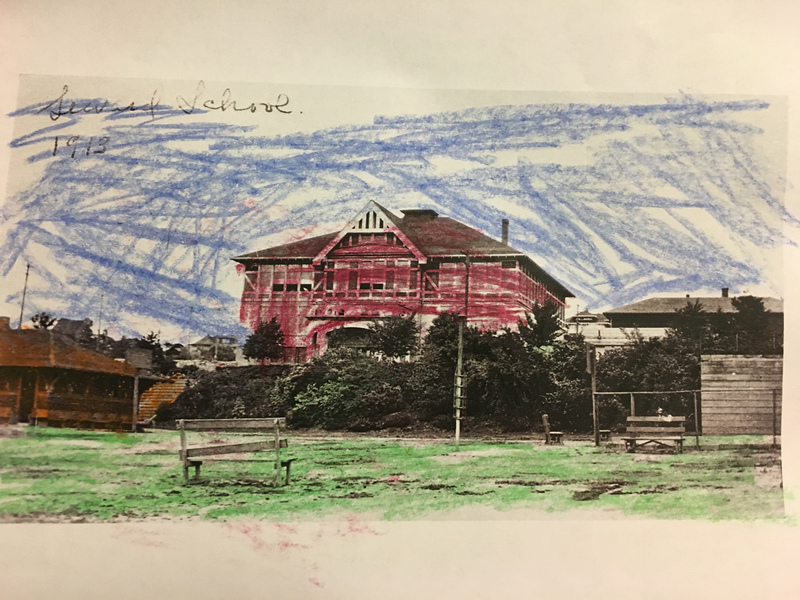 In all, seven 1st to 3rd graders joined me to learn about the school’s history, make art projects with old photos, and explore the different sections of the school. 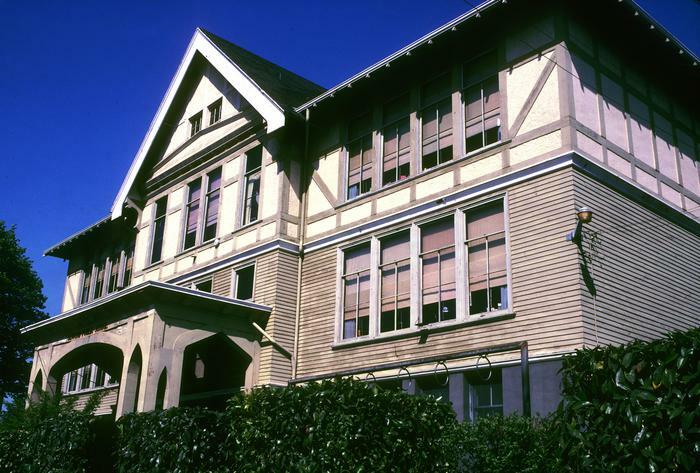 The oldest piece of TOPS opened in 1895 as the Denny-Fuhrman School and is on the state register. It was later expanded and moved, then moved again, then went through a few changes in use and is now the cafeteria. Just north of it is what was a prototype James Stephen standard plan 8-room school, now administration, special class rooms and who knows what else. 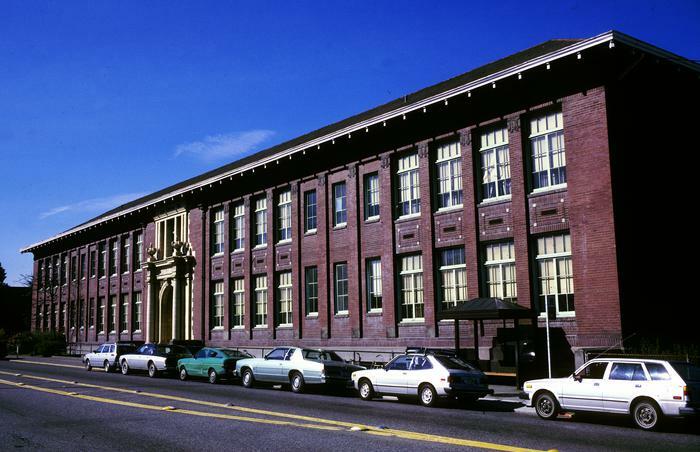 When this piece was built in 1905 the school was renamed Seward. Seattle looked back very gratefully to Secretary of State William H. Seward negotiations to purchase Alaska from Russia in 1867. The discovery of massive amounts of gold in the Yukon in 1897 caused the Klondike Gold Rush, lifting America out of a 5-year economic slide and directly enriching Seattle. The statue of him now in Volunteer Park was made later, in 1909, for the Alaska Yukon Pacific Exposition, and Seward Park was named in 1911. The school may be the earliest dedication to him. To the east is a big 3-story 1917 brick building that now has the middle school on top and at least 5th grade downstairs. In the middle is a 2000 library building, and to the north a 2000 gymnasium. Everything was redone and rearranged 1998-2000. 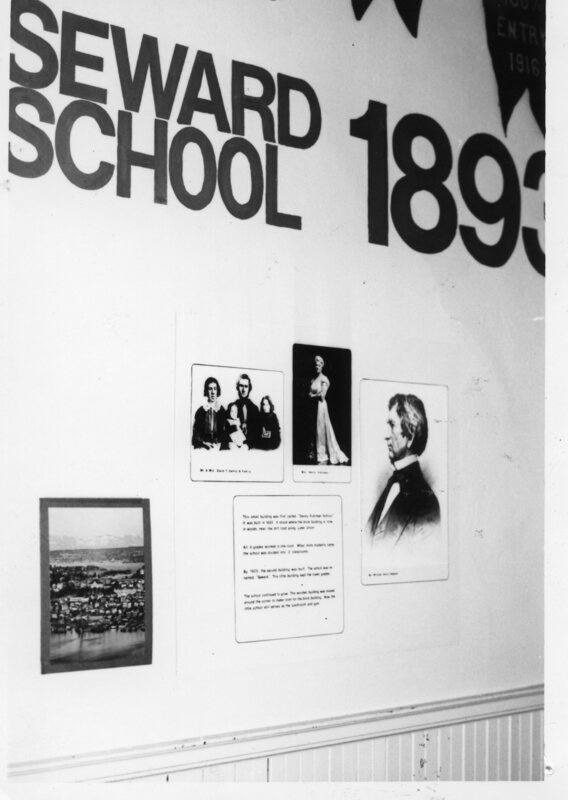 The Seward School was already TOPS@Seward by then. It’s all connected in a mind boggling array of stairs and corridors, above and below ground. I took the kids through building by building while other classes were in session. We all wandered quietly while other kids were in class, entering the land of the mysterious middle schoolers and looking out their tiny window next to attic access for its view of Lake Union. And they drank from the middle schoolers’ water fountain! We didn’t find the 1970s plaque for the Denny-Fuhrman listing on the state register, but the kids did suddenly notice old class photos on the wall and plaques and trophies outside the office for the first time. At the beginning of the event I shared information with the students about the first school’s first principal, Jennie Lombard. Jennie was born in 1861. Her father Ransom brought the family to Seattle from Maine in 1864. After a short time they moved to Port Madison for twenty years for her father’s work at the mill there. Then they returned to Seattle in 1883, where her father worked as an engineer at the Western Mill Company. In 1882 Jennie and her sister took the Washington Territory teacher’s exam and passed. 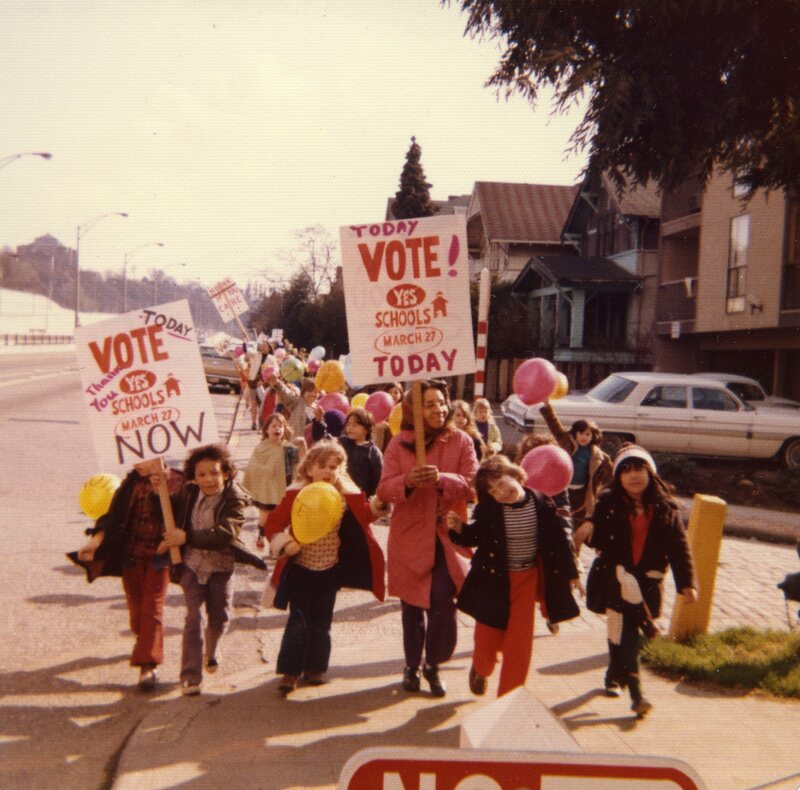 Together they ran the school in Port Madison, Kitsap County. 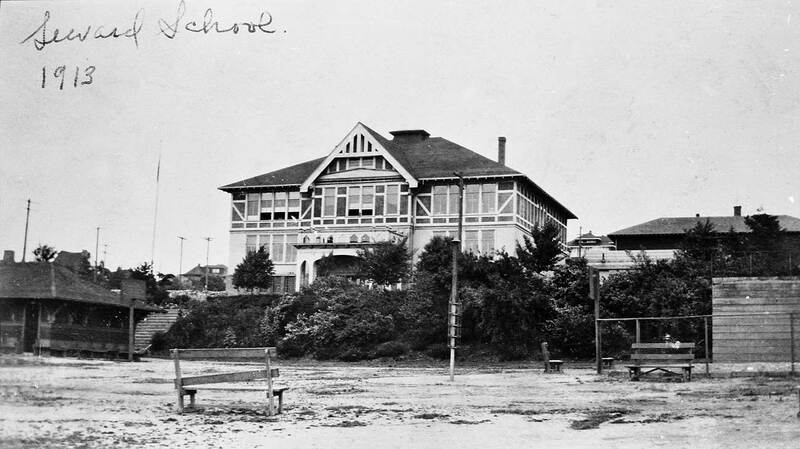 After they moved to Seattle Jennie continued teaching, first at Denny school atop Denny Hill, then the Central School for three years. After the Central School burned she worked at South School briefly, then switched to Denny-Fuhrman in 1895. She continued teaching for another three decades. Jennie’s sister decided to quit teaching in order to get married — until 1948 married women were forbidden to teach in Seattle. Jennie, though, dedicated her life to teaching children. Jennie Lombard died alone in her apartment on Capitol Hill in 1929, four years after retiring. The building is now Hudson House, affordable housing owned by Pioneer Human Services. 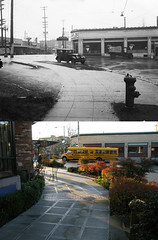 I visited Seattle Public Schools’ archive the week before the event. 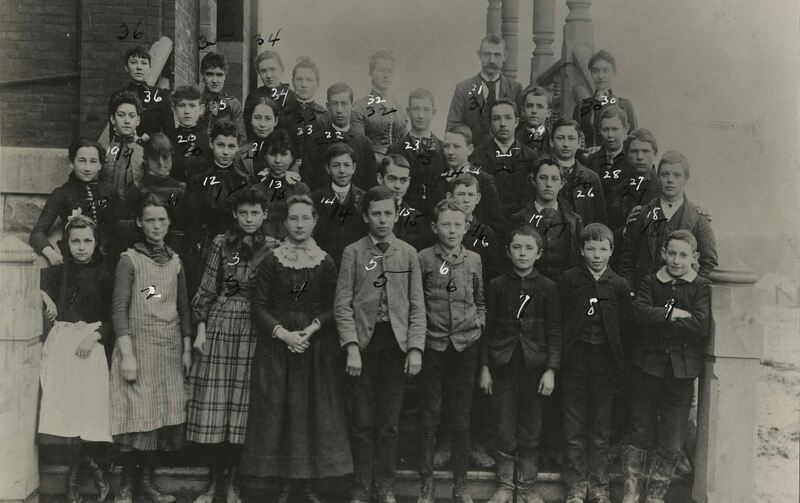 There I found photos of students who attended TOPS or Seward, and some school activities. I provided these with other clippings to the students to use as they liked. That was a very rewarding experience for me, and they got more out of it than I expected. The students were more receptive to history than I dared hope, and had fun each doing their own art project with their school’s history. They spontaneously expressed interest in preservation, shock that their own school has history, and even interest in paying respects Principal Lombard’s grave in Lake View Cemetery. Next Post Was Seattle named Duwamps?